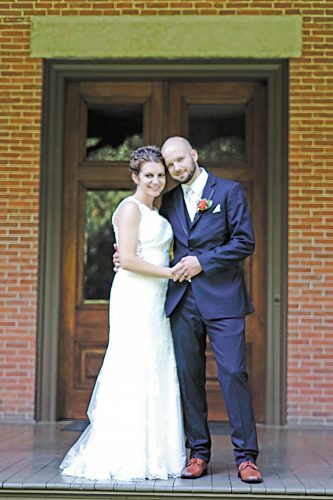 Brittany Young and Tyler Crapo exchanged wedding vows in a double-ring ceremony Oct. 3, 2015, at St. Mary Church, Tiffin, with the Rev. Kishore Kottana officiating. 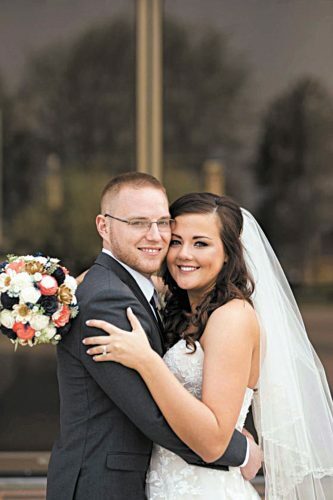 A reception followed the ceremony at Attica Fairgrounds with a honeymoon in Disney World, Orlando, Florida. Brittany is the daughter of Lisa and the late Roger Young of Tiffin. Tyler is the son of Bryan and Elizabeth Crapo of Attica. The bride wore a jeweled headpiece and her ivory gown had a dropped waist and sweetheart neckline. She carried a bouquet of lilies and white roses with blue accents. 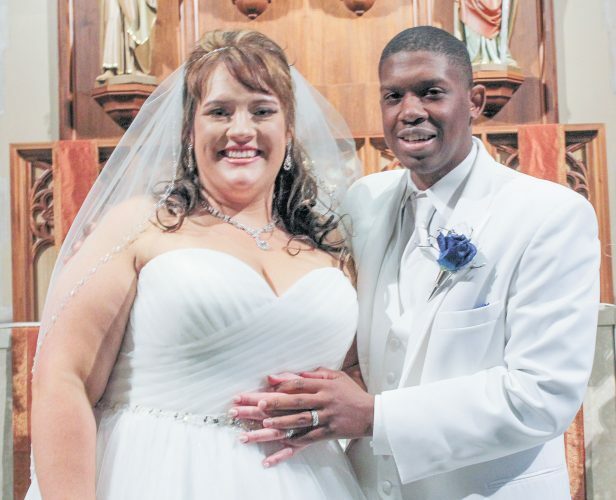 Serving as maid of honor was Danielle Spaulding, sister of the bride, wearing a pewter dress. Bridesmaids were Melinda Raurer, best friend of the bride; Alexis Desiardins, cousin of the bride; Maggie Cozzens, friend of the groom; Abbi Ehresman, friend of the bride; and Julie Engle, friend of the bride. They wore Malibu blue high/low dresses. Serving as junior bridesmaid was Maliyah Young, niece of the bride, wearing a pewter dress. Rylan Lovett, cousin of the groom, served as flower girl. 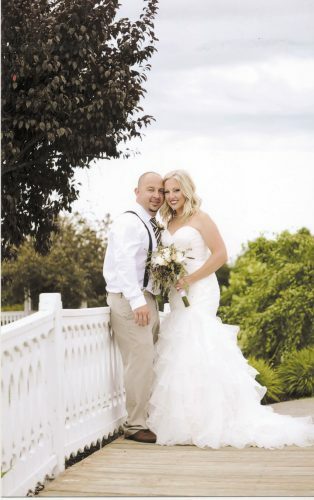 Their bouquets included white roses with small, Malibu blue accent roses. Serving as best man was Jacob Willman, friend of the groom. Groomsmen included Coty Crapo, brother of the groom; Garrett Crapo, brother of the groom; Cory Fowler, cousin of the bride; Forrest Gurney, friend of the groom; and Jacob Bartley, friend of the groom. Brenden Young, nephew of the bride, served as ring bearer. 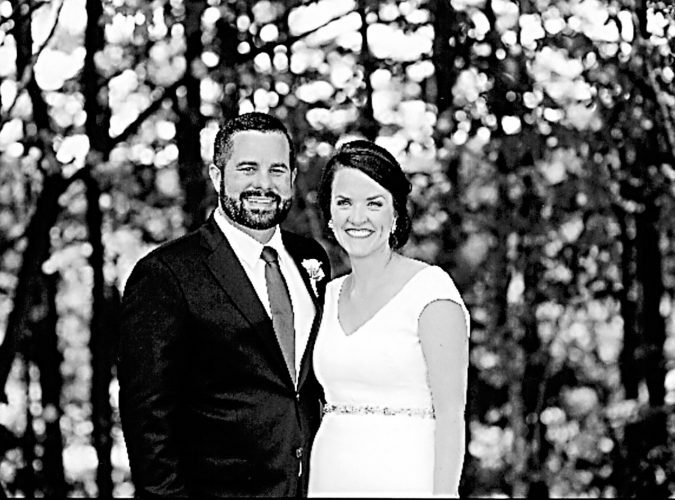 The bride is a pharmacy technician and the groom is a director of marketing.